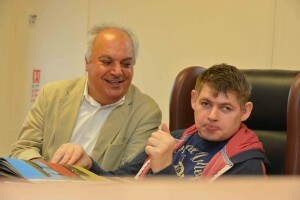 Affinity Trust has a long history of supporting people who have complex or specialist needs. We believe these needs should never be viewed as a barrier to achievement; rather that it is vital that people needing such support are supported in the right way to meet their full potential. Our in-house clinical team provides strategic guidance to the organisation as a whole, and who also work clinically with some of the people we support who have the most complex or specialist support needs.